Posted May 5th, 2015 by Timothy Harvard & filed under Dentist. For most, just the utterance of the name makes us cringe. 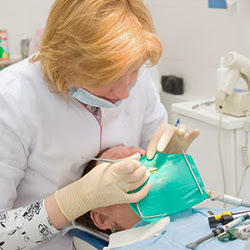 Painful as they can be at times, the root canal is a necessary treatment to some common dental problems. If performed properly, and if the crown is placed properly, the experience need not be a bad one.